Patna: Weeks after a Swiss couple was attacked in Uttar Pradesh, a similar case has been registered in neighbouring Bihar. A British couple, travelling from Haridwar to Kolkata, was allegedly beaten up by two men. The two accused have been arrested by Patna police. 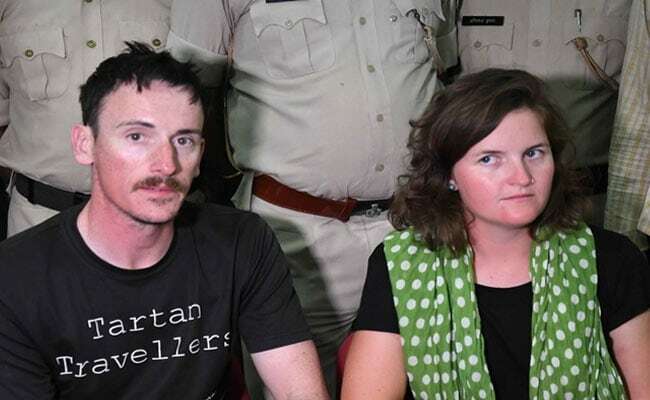 The couple, Matthew and Jessie Kidd, had stopped at Pandarak on Sunday evening, 80 kilometres from state capital Patna when they were accosted by the two men, according to Senior Superintendent of Police of Patna Manu Maharaj. The accused also tried to rob the couple of their belongings and molest them, reports said. The couple sought help from nearby villagers, who came to the rescue and informed the police station. By the time police reached there, the men fled the area. The couple then filed a complaint with Pandarak police station. "Both the accused were traced and arrested from near the banks of the Ganges last night," Mr Maharaj told news agency PTI, adding that the couple has resumed their journey. Visiting from Scotland, Matthew and Jessie started their journey at Haridwar on September 27. This is the third case of attacks against foreign tourists to be reported in the last one month. Last week, a German tourist claimed to have been attacked by a local in Uttar Pradesh's Sonbhadra, for responding to his greetings. The German was pushed to the ground and slapped multiple times. The accused was arrested and a case registered against him. However, the police said they were not convinced with the foreign national's version that he was the victim and suggested that he may have triggered the confrontation. As for the attack against the Swiss couple, External Affairs Minister Sushma Swaraj sought a report of the incident from the Uttar Pradesh government and said that the government would monitor their progress.